Here is another minimalist and glamorous look for you to try. Black and gold are forever classy and this design can be done in no time. Prepare nails by removing any remnants of last nail paint, clean and cut cuticle using a cuticle pusher. 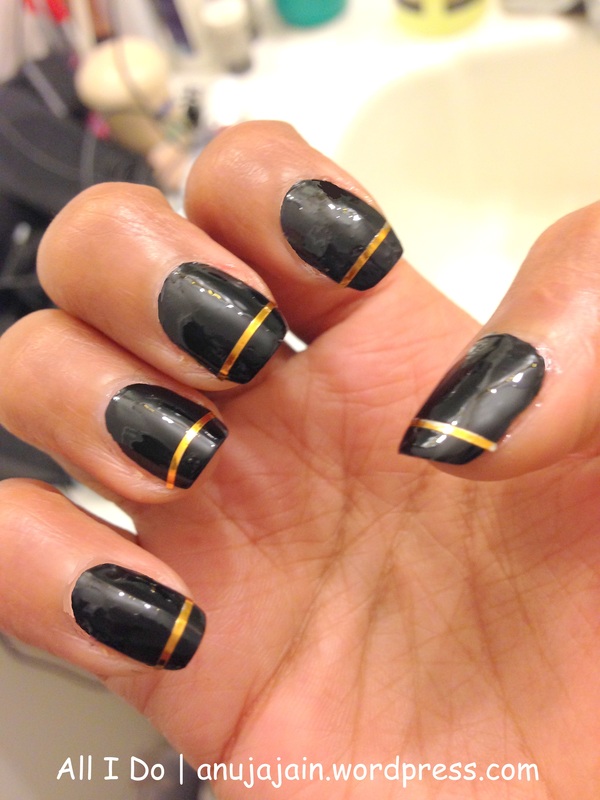 Take the golden nail striping tape and stick horizontally a little off the tips. Hope you enjoyed this simple nail art design and small tutorial.